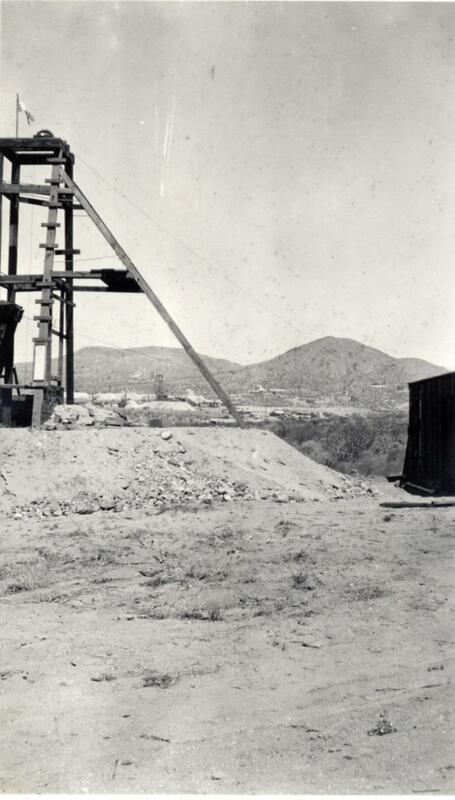 THE MOJAVE- RAND mine was active as early as 1922. It was located north east of Red Mountain. 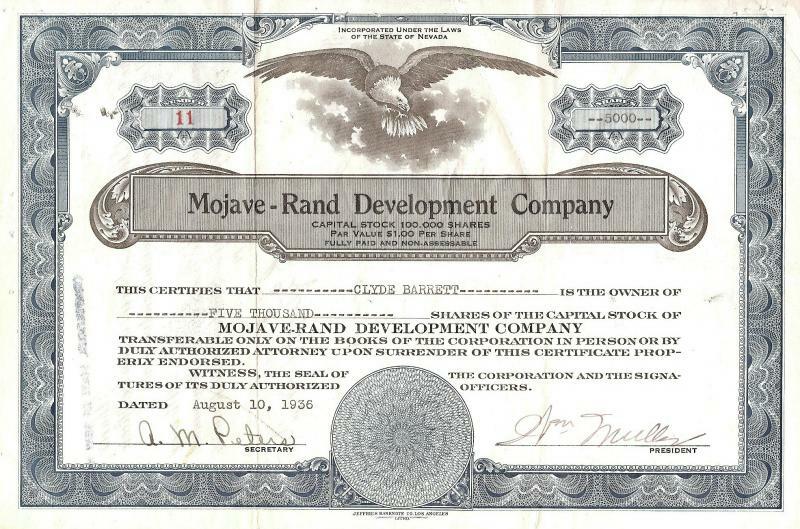 The Mojave Rand was a Bakersfield Company who' president in 1922 was Mr. Phillips and the secretary was W. B. Beatty. They had a 160 foot shaft with a 25 H.P. Gas engine for thier hoist. 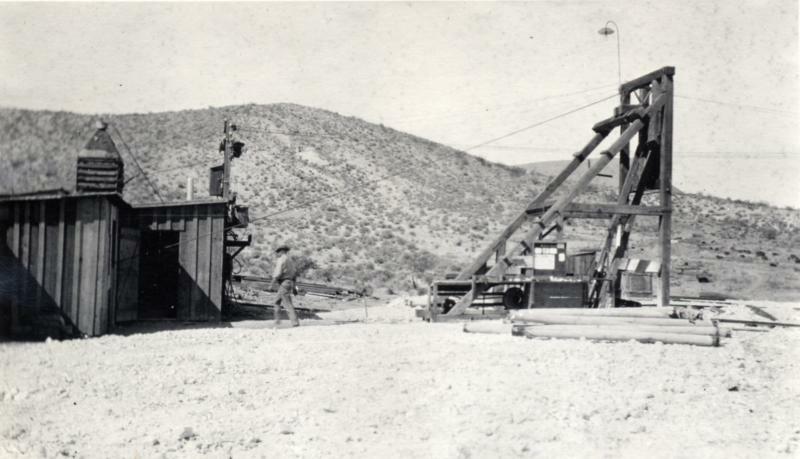 The Belcher Estension Divide Mining was a Tonopah Nevada Company which had a silver mine south west of Red Mountain. 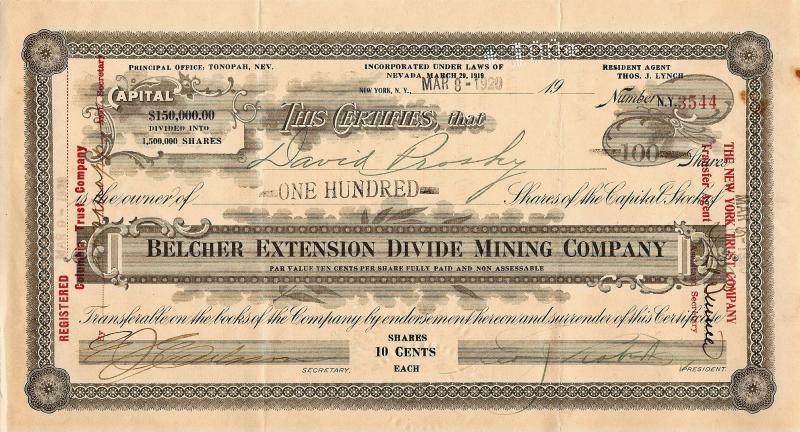 During the summer of 1923 the Nancy Hanks Mine belonging to the Yellow Aster Mining and Milling Company was under lease to the Belcher Extension Mining Company. The Silver Giant Mining Company held a group of four mining claims situated well up on the northwest slope of Red Mountain. The center of the property is almost 2 miles notheast of the No. 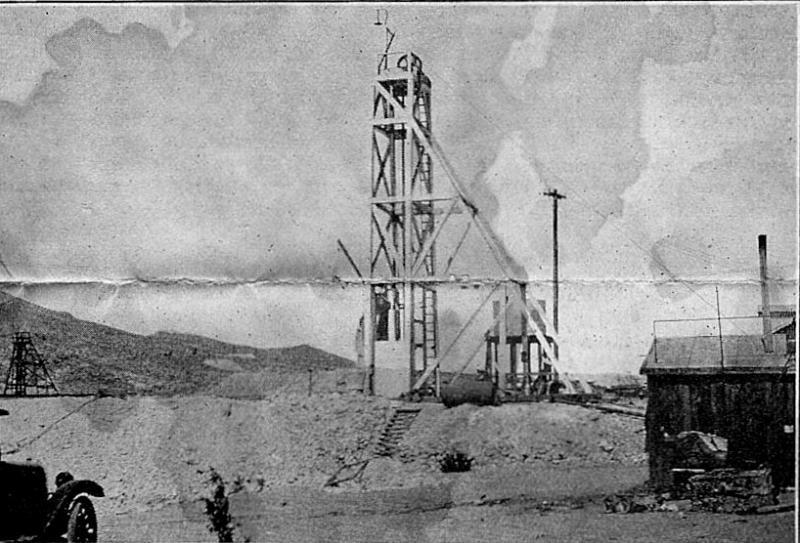 1 Shaft of the California Rand Silver (KELLY ) Mine. 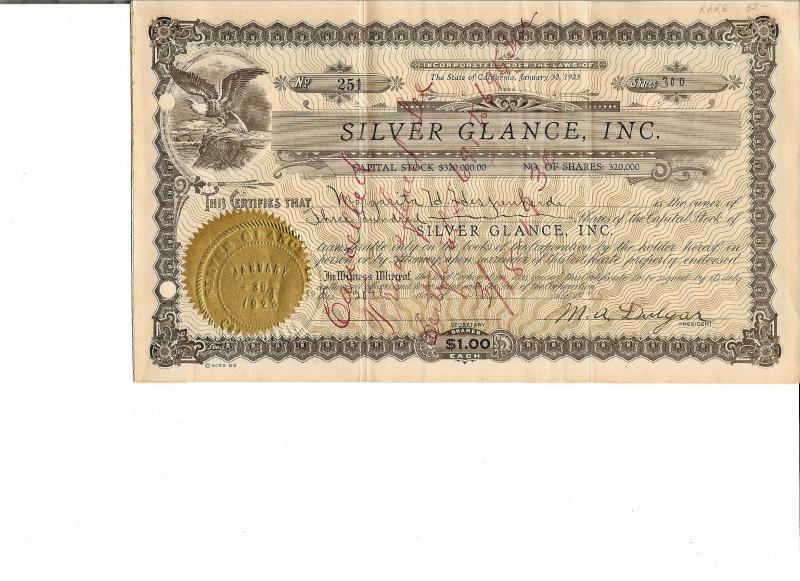 Silver Glance Mining Co. Inc.
Mining men of Kern County are taking much interest in reports that officials of the Silver Glance company are negotiating for the purchase of a portion of the Silver King holdings at Randsburg. The Silver Glance interests are operating a lease on the above property, where a rich strike of high grade silver was recently encountered. Since then is is said the deal to purchase has been underway. 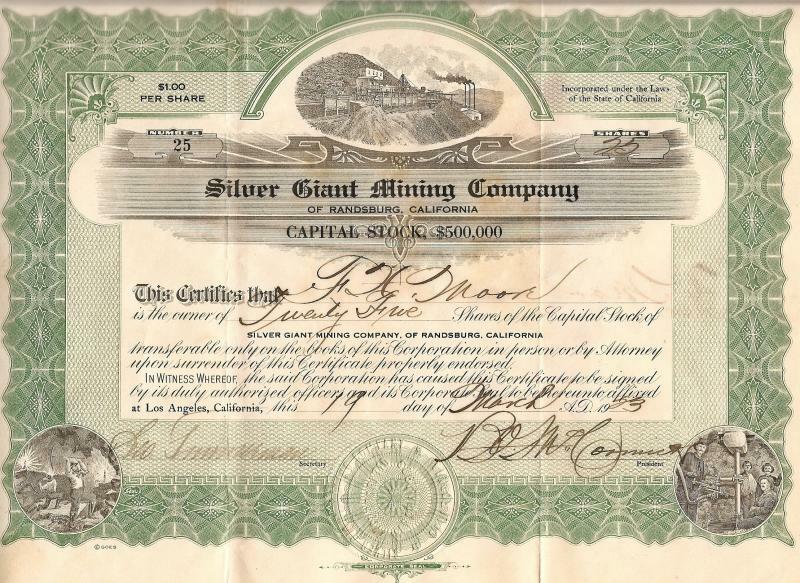 The Silver King Group is owned by the Johannesburg Milling and Mining Company owned largely by Tacoma investors, although some large blocks of the stock were sold in Bakersfield. It is said that the parent company plans to open up operations at an early date, after having been closed down for more than a year. Encountering gold ore running as high as $100 a ton on the lower levels of the California Rand Silver, Inc. bids fair to become a bonanza in gold as well as in silver, according to late reports. The California Rand property adjoins the Silver King group of claims. WEBSTER-WILEY MINE NORTH RAND SILVER MINING CO.
Work in the North Rand district is progressing as rapidly as weather conditions will permit. Depth is being made in all of the properties and in a formation which very nearly guarantees ruby silver. The North Rand Company has a very good and satisfactory showing at this date. William Quackenbush, and J.J. Nosser, president, and members of the North Rand board of directors, are in Bakersfield looking after company interests. 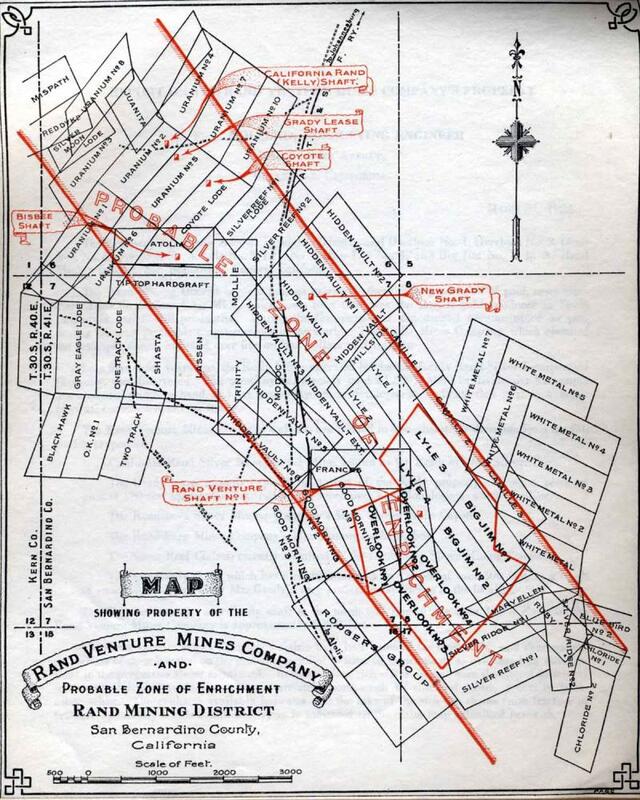 By 1925 it appears the the North Rand Silver Mining Company may have sold ttheir silver claims to the Randsburg Associated Mines Company, Inc., and were leasing the King Solomon Mine in Johannesburg. In 1922 this Los Angeles based company had claims on the Overlock Group, Big Jim 1-2, and the Lyle 3-4. They had no equipment on the ground and a shaft 60 feet deep. The preseident of this company was E. M. Benedict and the secretary was F. R. Cowoin.